Well as i'm sure you all have noticed on here. I often do not blog on this website because when I am on i'm usually so focused on my readings and or the critiques of other's written works. 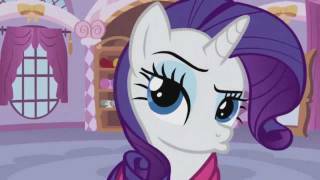 So I decided to have a face-off battle between two awesome Rarity theme song music videos, that I cant seem to decide upon which one will be my featured number one song on my fimfic user-page for Rarity? I'm indecisive, and I am calling upon the power of the mighty Brony Herd to help settle this debacle. Does anyone know some really lovely Derpy/Doctor Whooves romance stories that they would suggest to me? I'm at a blank recently with where or what to look for as a good solid romance, comedy, slice of life, or any combination of these three types for a particularly good Derpy and Doctor Whooves romance story. representation of many of the shows underlying themes that are not so "young girl" audience intended. to put a finer point on things, I simply created this blog post to hear all of yalls important opinions on this overall concept.